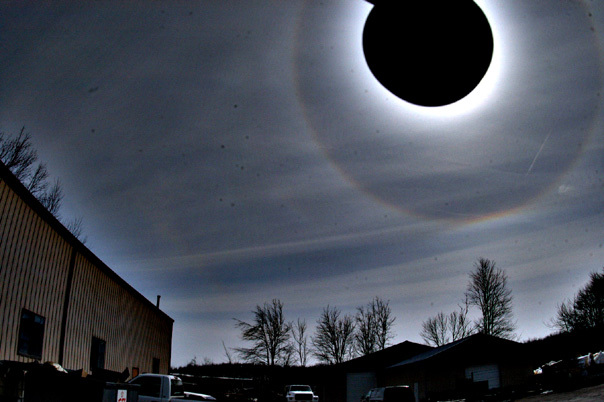 Throughout my work day there were a number of halos that were coming and going. 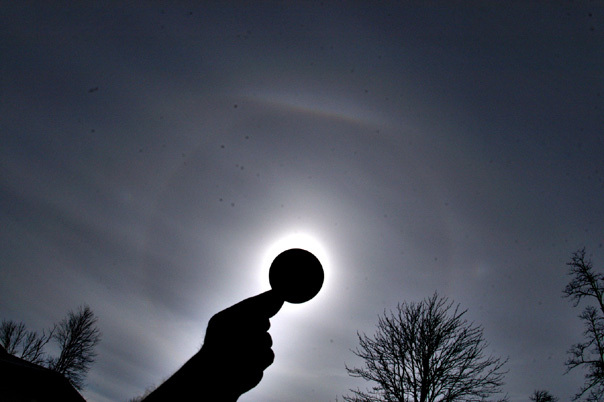 Around midday there was 22d halo, circumscribed halo, parhelic circle, and parhelia. 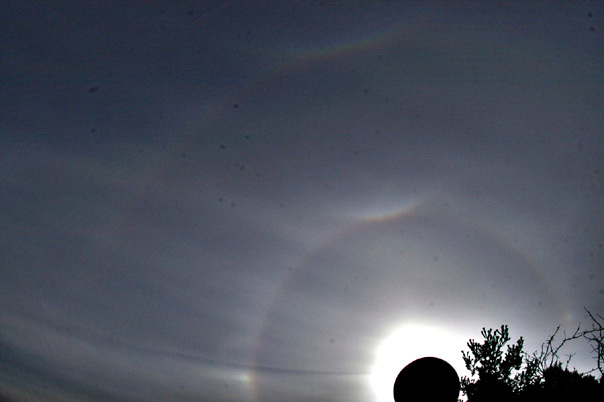 Later on at break time I got 22 and circumscribed halos and there was a nice infralateral arc on the left and a possible lower suncave parry arc not sure on that need help to identify short piece of arc to the left of 22d halo. Before I left work I imaged an upper suncave parry arc. The final stage had nice upper tangent arc and a complete supralateral arc.